My work primarily stems from direct observation of the wildlife around me. I am always seeking an honest portrayal of the sense of awareness that is present in all living things. 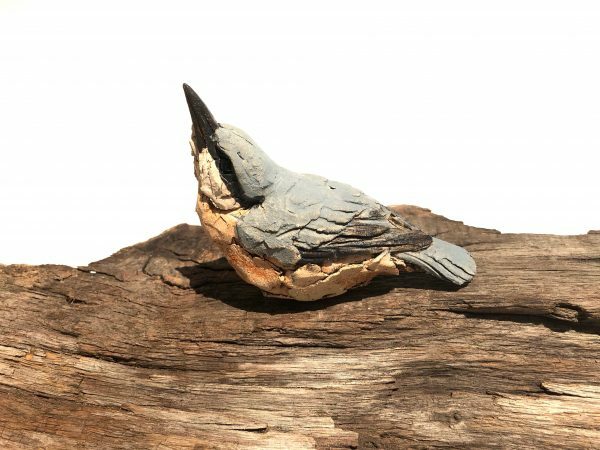 Sculptures are constructed in crank clay around a paper & wood armature. I model as fully as possible with my fingers and only use tools to accentuate certain lines. The work undergoes several firings with layers of oxides, stains and engobes to achieve the required finish. Sculptures are fired to stoneware temperatures.